When you get sick and have an irritating cough, you probably just want it to go away. There are dozens of medications on the pharmacy shelves that promise to quiet a cough, but do they actually work? 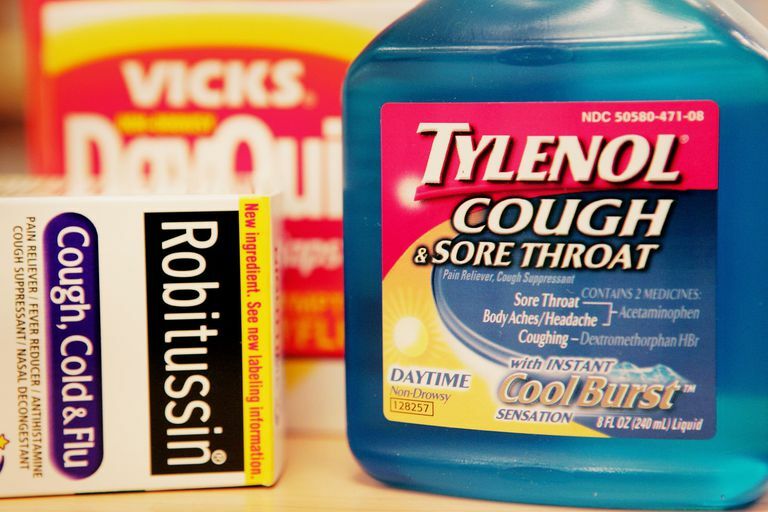 There are two different types of over the counter cough medications — expectorants and suppressants. They work very differently and which one you should take depends on the type of cough you are experiencing. Expectorants are a class of cough medicine that helps to get mucus out of your lungs. They thin the mucus and help you cough it out more easily. Expectorants are useful when you have thick congestion and you can't cough it up on your own. Because they help make your cough more productive, expectorants can help prevent illnesses such as pneumonia. Cough suppressants are a class of cough medicine that help you stop coughing. There has been some debate about how well cough suppressants work. Because coughing is a natural response to foreign substances in the lungs, it is not always a good idea to try to stop a cough. A growing amount of research has found they are not effective, especially in children. However, many people still feel cough suppressants are necessary. If you decide to use one, they are best used only at night when you are having trouble sleeping. Cough medications are commonly used in multi-symptom cold and flu medications and are sold under many different brand names. Always check the labels of the medications you are taking to see what the ingredients are and what they do. It's important not to take additional cough medications if you are taking a multi-symptom medicine that has an expectorant or cough suppressant in it. If you have been coughing for several days or your cough is severe, contact your health care provider to see if you need a different treatment or type of medication. If you don't want to take an over the counter cough medication or they aren't working for you, there are other options to help you get relief. Drinking a lot of fluid and staying hydrated is more important than you think. It's also important to be aware when a cough is a sign of a more serious problem. Sometimes a persistent cough can be a sign that a person is not breathing as well as they should be. This is especially true in children. If you are concerned about your cough or your child's, contact your health care provider. Cough Medicine: Understanding Your OTC Options Familydoctor.org Feb 12. American Academy of Family Physicians. 23 Aug 13.